Ahem. I am now going to attempt to write a simple account of the findings of a new study into the genetic origins of domestic horses. I’m doing this as much for my benefit as for yours. Hopefully my brother will step in in the comments if I’ve got it all wrong. 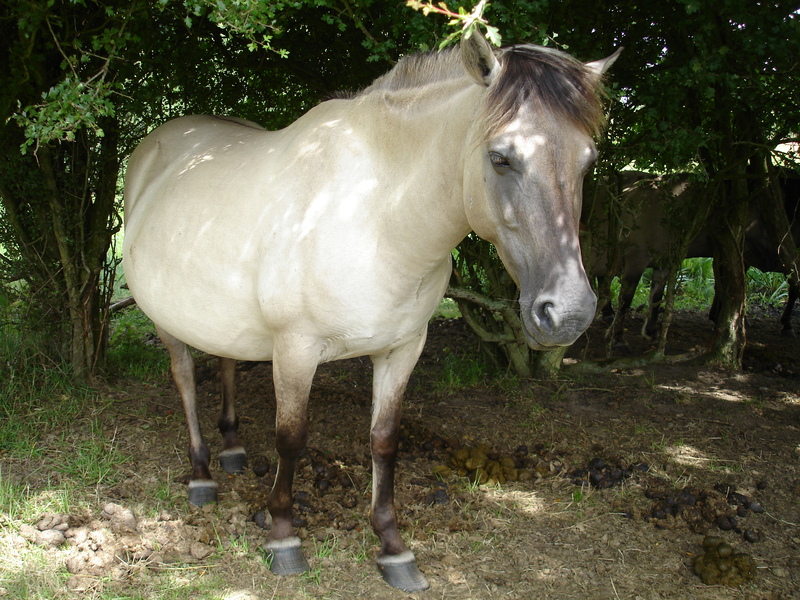 This is a Przewalski Horse. It is the only true wild horse left in the world, even though this particular one is in West Berlin Zoo. 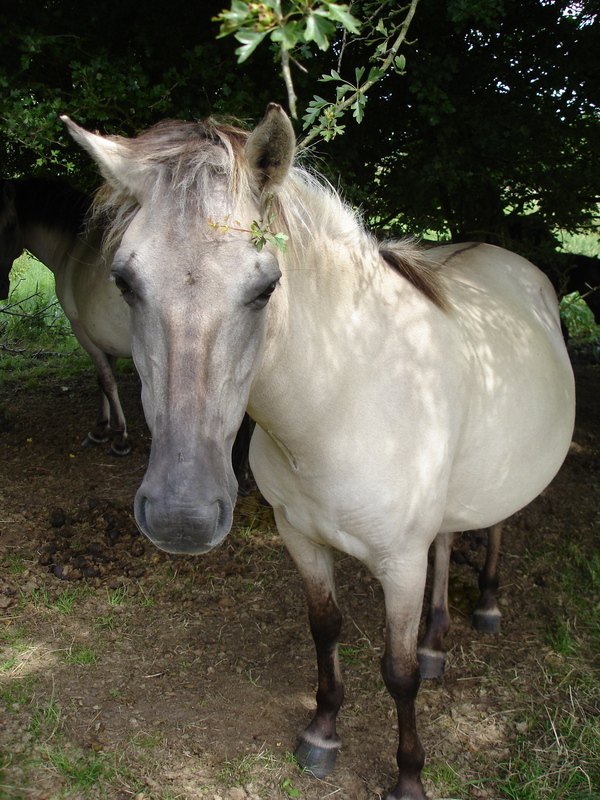 Other “wild horses” like mustangs, brumbies etc are feral domestic horses. 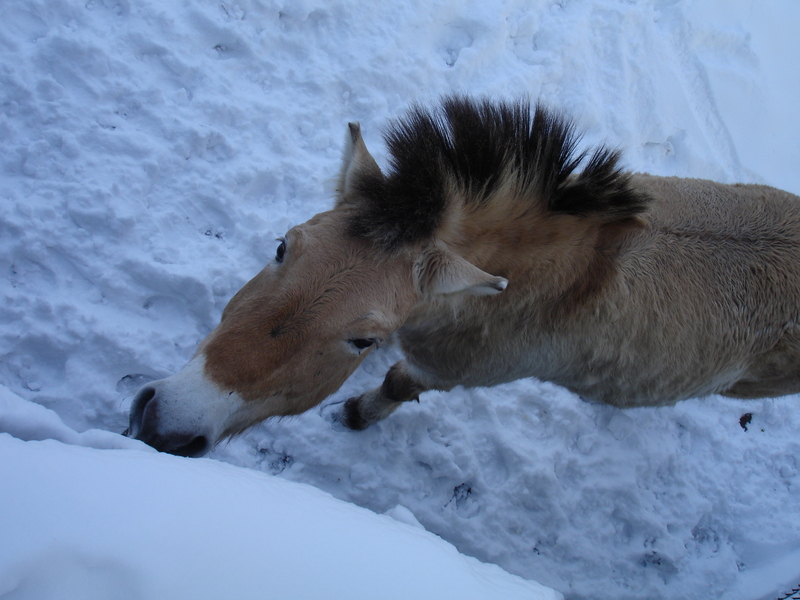 Przewalski horses can breed with domestic horses, but they have a different number of chromosomes: Przewalskis have 66, domestic horses 64, and their combined offspring 65. This is a Tarpan. It’s another true wild horse, but one which is now extinct. It had 64 chromosomes. This is a Konik – an attempt at recreating the Tarpan by interbreeding domestic horses which have Tarpan ancestors. But I digress. 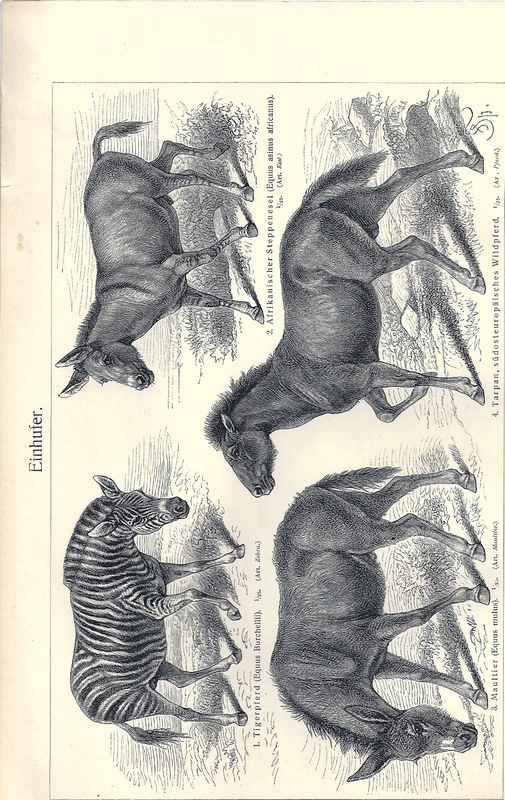 The evolutionary development of the modern horse has been well documented and explored since the earliest days of genetics and fossil collection. 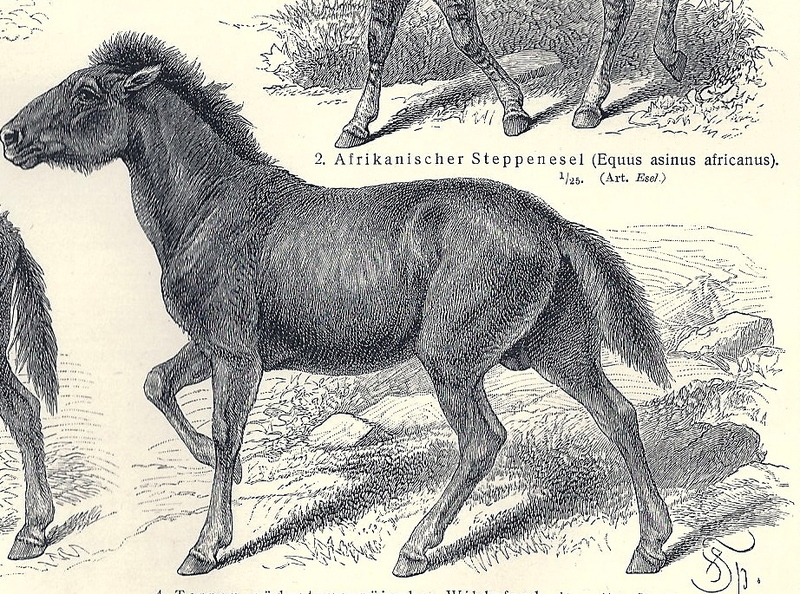 Now geneticists are attempting to work out how we got from “some wild horse that wasn’t the Przewalski” to every single domestic horse in the world today. A paper published today by Alessandro Achilli of the University of Perugia and a large global team of geneticists explores this by investigating the maternal or mitochondrial DNA of a variety of horse breeds from around the planet. It turns out that there are eighteen major “haplogroups” or, as Wikipedia usefully puts it, “a group of similar haplotypes that share a common ancestor“. A haplotype is a mumble mumble genetic-DNA-sequence-pattern-thing. Ahem. One of these haplogroups belongs to Przewalskis. All of them belong to the Neolithic or later, but radiate from some Ancestral Mare Mitogenome of 130,000–160,000 years ago. Asia is the common source for all these descendants. SO, the conclusion appears to be that domestication occurred – multiple times, by mankind sourcing different wild mares at different points of history and from different locations – on the Eurasian Steppes from the Eneolithic onwards. The Eneolithic falls between the Neolithic and the Bronze Age, and might also be called the Copper Age. As there is already a large amount of archaeology linking horse domestication, copperwork and the spread of proto-Indo European in this area, this appears to confirm the theory that the Steppes were the origin of large scale and enduring horse domestication. This also means that the Saudi Arabians need to come up with a bit more proof for their claim that horse domestication began in the Arabian Peninsula circa 7,000 BC and that there were already Arab-type horses at that period.